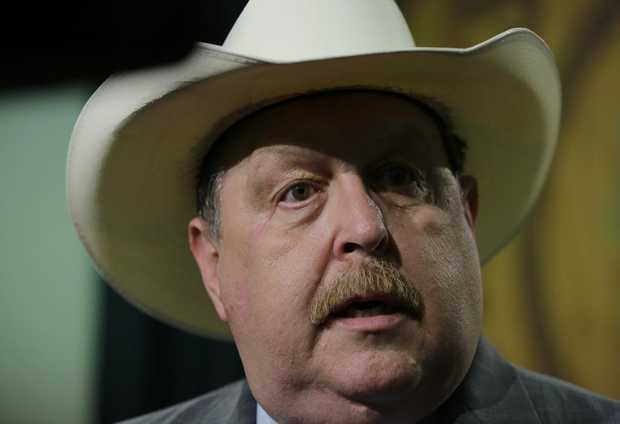 TEXAS: State Rep. Cecil Bell Calls On State Agencies To Defy Obergefell - Joe.My.God. At a press conference in Magnolia, Bell released his “PACT for the Constitutional Restoration of State Sovereignty,” essentially a manifesto listing broad ways for citizens and state and federal officials to come together and defy the Supreme Court ruling. Citizens should pressure elected officials to stop enforcing the ruling, and Congress should take action to impeach the five justices who voted to end state bans on gay marriage, Bell said. “Our governors should join together in rejecting the striking down of state sovereignty,” Bell said in the announcement, “and should form a coalition standing between an overreaching federal government and the citizens of the separate states.” Bell’s initiative didn’t include any specific actions for how state officials should resist court rulings, saying that would be determined by state agencies. States resisting Supreme Court rulings — and even the impeachment of justices — have precedent in U.S. history, Bell said, noting Justice Samuel Chase who was impeached in 1804 because some in the U.S. House of Representatives felt his political views were influencing his decisions. He was acquitted by the Senate the following year. His nutjob pact is here.